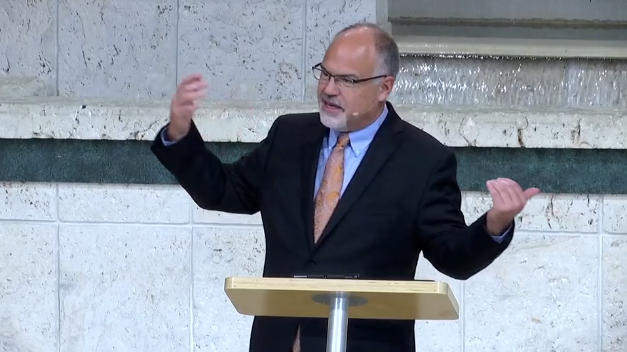 For his October 20, 2018 sermon, Pastor Geoff Patterson of Forest Lake Seventh-day Adventist Church in Apopka, Florida examined the unity document and discussed his disappointment in the vote and concerns for the future of the church. Patterson, who is continuing the church’s “Faith, Hope, and Love” series (based on 1 Corinthians 13:13), said he was beginning not with hope, but with significant disappointment. “But by God’s grace, we will arrive at hope at the end,” he said. Patterson went on to discuss the recent Annual Council vote on the compliance document, which passed 185 in favor, 124 against, with 2 abstentions on October 14, 2018.